AR3T is supporting the development of ex vivo and in vivo technologies that will enhance the understanding of stem cell responses to mechanical stimulation. Tissue loading is a powerful means for modulating the tissue microenvironment and promoting healing, a concept that serves as a cornerstone for Regenerative Rehabilitation research. A better understanding of the direct response of stem cells to extrinsic signals within the dynamic microenvironment will aid in the informed prescription of rehabilitation protocols for patients. Stem cells interpret mechanical forces in a broad spectrum of ways that can affect their behavior and, ultimately, their ability to drive tissue regeneration. As such, an increased understanding of the mechanosensitivity of stem cells and the manner in which mechanical signaling may be used to drive stem cell regenerative potential will greatly aid in the design of rehabilitation protocols. Unfortunately, there are few in vivo or ex vivo methods currently available that allow for modeling and quantification of the direct effect of mechanical stimuli on stem cell behavior. There is a need to develop an ex vivo system capable of modeling biologically relevant mechanical loads on stem cells in order to understand the mechanistic effects of physical forces on stem cell fate and function. There is also a need to accurately assess the effects of different types of mechanical forces experienced in vivo by endogenous stem cells existing within tissues or exogenous stem cell populations transplanted for regenerative therapies. Visit the ex vivo or in vivo pages to learn more about technologies being developed and used to support Regenerative Rehabilitation research, and learn about AR3T technology development grants. Rehabilitation is often prescribed for individuals with myopathies such as Duchenne Muscular Dystrophy (DMD) with the goal of promoting strength and functional capacity while minimizing disease progression. 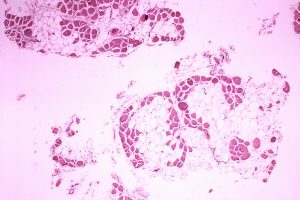 Although the benefits of exercise for the maintenance of muscle health have been universally accepted in healthy muscle, it is unresolved whether exercise is therapeutic for individuals with muscular dystrophy, and conflicting studies have shown that exercise can have both beneficial and detrimental effects on dystrophic skeletal muscle functional capacity. According to the work-overload theory, the decreased threshold of dystrophic myofibers for withstanding loading associated with exercise drives an accelerated deterioration of the muscle by propagating a cascade of myofiber degeneration and regeneration. In response to myofiber damage, muscle stem, or satellite, cells become activated from a quiescent state. Within 24-48 hours after activation, satellite cells enter into a phase of proliferative expansion, and then progress to terminal myofiber differentiation. However, when this process is repeated with high frequency, it has been suggested that the satellite cell pool becomes exhausted, thereby diminishing the capacity of the muscle to respond to future rounds of degeneration and regeneration, ultimately leading to progressive weakness. Conversely, several studies have shown that exercise has the potential to enhance, rather than worsen, the skeletal muscle contractile capacity of dystrophic muscle. Though still unclear, it has been proposed that increased angiogenesis and the secretion of growth factors that enhance satellite cell growth kinetics may be important mechanisms underlying the potential benefits of exercise-based interventions in the treatment of muscular dystrophy. An inadequate understanding of the impact of mechanical stimulation on stem cell behavior and myofiber responses under myopathic conditions translates clinically to the prescription of exercise programs that are, unfortunately, often arbitrarily selected and dosed. This trial-and-error approach, a major source of frustration for rehabilitation clinicians, is cost ineffective and leads to poor outcomes. An enhanced understanding of the dose-response relationship between exercise and cellular responses is therefore critical for the rational design of rehabilitation protocols to enhance physical functioning in children with DMD.